Susan is the Founder of the Longley Academy. Following a successful 20 year career in Corporate Sales and Business Management with corporations such as Xerox, Kodak, & Siemens Susan founded the Longley Academy in 1994. 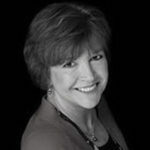 Based on her experience and successful track record Susan began writing and delivering simple, practical sales and management programmes to a wide range of corporate clients. Retained by a number of global clients helping them to win more business, Susan also focusses on company strategy and winning new clients.